Yesterday, I was lucky enough to have been chosen as one of the bloggers to cover this year's Astroplus Bloggers Connect 2012. The theme of the event was to connect bloggers to the brands that Astroplus distributed and sold at their stores. Food was served and may I tell you, whoever the caterer was, they know how to serve good food. Now, off to more important things. I was late and the event had started when I finally reached Podium. Luckily, it started 130pm. I got there at 140pm. The representative from Sony was up and was telling us what albums were being distributed by them as well as concerts that they sponsored. After Sony, it was Ivory's turn and they had a mix of OPM and Pop songs. They are producing Glee's Grease Soundtrack and for this one, I am truly excited. They are also distributing Whitney Houston's Best of the Best album which I forecast would sell like hotcakes. Warner came next and one of the biggest thing happening for them was the release of the SkyFall OST sang by Adele. I gotta admit, Adele's singing of this song was actually what got me to see the trailer of the movie. Yep, it was the other way around. However, there was one giveaway there that sent my Mommy heart fluttering and doing the Gangnam dance. This was it. All we had to do was tweet about the event using the hashtag #astroplusblogconnect2012 which I immediately set out to do because B loves Spiderman and I'd do anything (yes, even spam) for B's happiness. C-Interactive showed us what we can get from their DVD distribution. Some of them were really nice liek the Wedding Dress Edition of Breaking Dawn Part 1. They also gave us a CD and a DVD of Exorcismus of Emma Evans. Magnavision couldn't make it but they did have a clip of what films they were going to launch for 2013 and a lot of the clips shown went straight to my MUST WATCH list. They also had some loot bags for us and the movie buff in me was very happy for they had The Amazing Spiderman whic was B's first movie and his favorite. After the movie and music section, it was high time for the gadget section of the event and not to spoil anything since I plan to blog about the ones I liked in a separate post but some of the top brands were there. They pitched their products so well that if I had a credit card, I'd have maxed it out. Monster, Beats, SOL Republic, Aerial7, Gear4, Bose, SkullCandy, Sennheiser, and AKG were just some of the brands that stood out for me. The best part of the night was when my name wasn't drawn in any of the earlier raffles and I ended up winning this headphones from AKG. A lot of people wanted it but my name was the only one left in the box so YEY ME! Below are the goodies I was able to take home. Funny thing about me is that when I get goodies, most of the time, it goes to my family and I feel good about it. So, the SkullCandy sticker and Battleship DVD is now with FM because he and V loves that movie. As for the sticker, he likes luggage sticker so it will be in one of his massive luggages. The AKG headphones is now adding more life to one of my twin brothers social life because it lets him have the flexibility of moving around with his S3 phone while working. I wanted it for myself but realized it will be enjoyed more by my brother. The Beats shirt is with my little sister K who loved the design and feel of the cloth. The Aerial7 shirt is with the chef who can use it while working out. 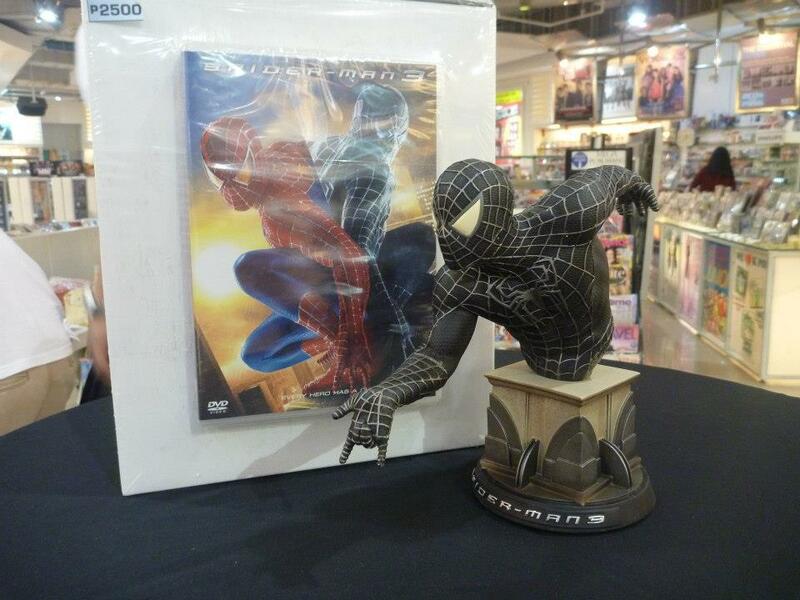 The Amazing Spiderman DVD from Magna Vision is with B. The Exorcismus DVD from C-Interactive is with my Mom as well as the Bling Bling album. Thank you once again to Astroplus for inviting us to this event. I shall be making separate posts for the different brands that presented.